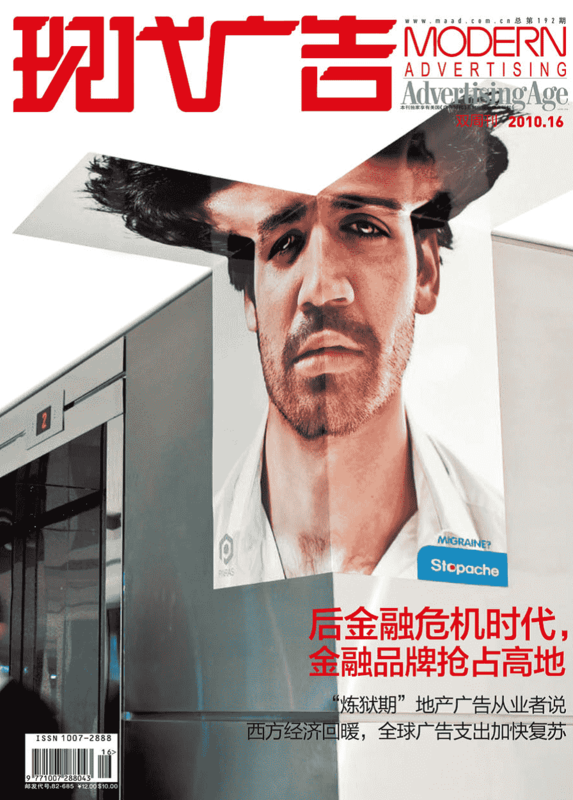 Beijing, August 2010 – “Textappeal: the Advantage of Talents” – Interview to Elliot Polak published on Modern Advertising Magazine. In China, even people who work in Advertising industry might not know the name of this company. They hosted a seminar in Cannes this year featuring the topic: Digital Across Cultures. When Elliot, the founder and CEO, introduced the company he highlighted a word “transcreation”. We can’t find a concise and corresponding Chinese word to explain it as the need of this kind of service might only start to grow rapidly in the future due to the late start of Chinese economy and advertising industry. Actually, majority operation of this company is from global brands or their creative agencies as their creative ideas and communication will unavoidably face difference countries, regions, ethnic groups and cultural backgrounds and their marketing will have to transfer accordingly. As we mentioned previously the example of Coke Cola, this refers to complicated and subtle details like strategy, creative illustration and text etc. Therefore, Elliot doesn’t like the idea of describing their work as “translation”. 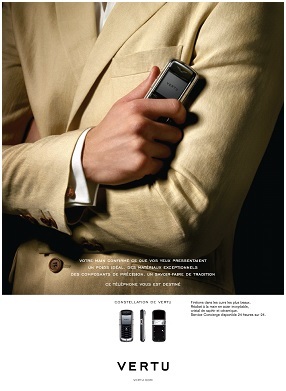 VERTU phone launched a global campaign in 2007. In the unified creative draft for all markets around the world, the model is wearing a slightly wrinkled white casual suit to illustrate the target is high-end frequent travellers. 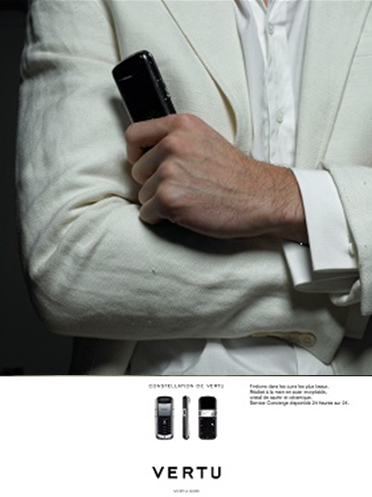 VERTU phone, which plays the main role in the ad, is held in one hand of the model. However, the final version of the campaign had changed white colour to beige, casual suit to formal and even the hand of the model had been trimmed as neat and smooth as possible. 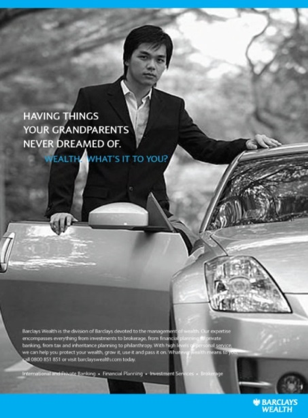 The reason behind it is just because Textappeal had provided 3 suggestions on the original creative draft: in china, firstly, a successful man should have wore formal and sleek suit; secondly, white colour is related to Chinese funerals; thirdly, the hair on the model’s hand might be considered as masculine charm in western world, while in China a pair of clean and smooth skin hands will be preferred. Similar cultural differences exist almost in all cross-border communications and advertisements. 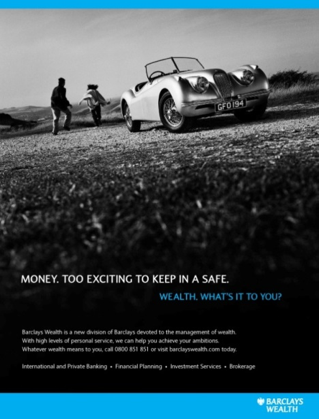 For example, in one of the print ads of Barclays Wealth, a classic “vintage” car in the European version of the ad had been changed in China to a brand new car which is fashionable and modern. As Chinese, we believe everyone understands this. We are very curious that facing such a huge number of countries and regions around the world how can Textappeal conduct such a service which seems “there is nothing they don’t understand”. “Talents are the core. It consists of multilingual project managers in the London headquarters and 1470 partners all round the world covering 151 countries”, Elliot said. Not too long after the interview, we found exclusive introduction of their talents’ structure and concept on their newly renovated websites. In the party in Cannes, there is a girl called Masie showed up together with him. She is from China and is one of the London team members. When Masie started to talk about this team, enthusiasm came up naturally: “it is because we all have different backgrounds and from different countries that it’s fun to work together. Our over 1000 partners are again from different countries. You can experience the brilliance of the whole world with vivid details through them.” Of course, according to Elliot’s standard of talent selecting, apart from language and culture this team has to be experts of marketing and advertising as well. In the past 3 years, projects about China have been the major increase of the operation.